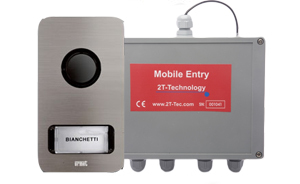 Remote Control of Security Gates. No need for key fobs just use your mobile. Simple to set-up by sending short text messages from any mobile or WebText. 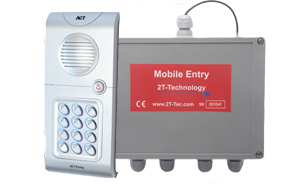 Answer the Gate Intercom from any phone in the House or Mobile. Wireless intercom communication with any landline or mobile. Remote communication from the intercom when the home owner is away from the house. Controlled access to the gardener, oil refill truck, plumber... when home-owner away from home. 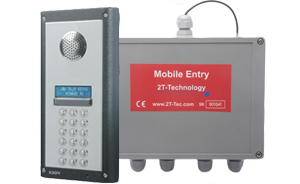 Remotely determine whether the gate is open or closed. SIM Card (pre pay) supplied. Bill Pay or Pre Pay SIM Card options. Receive a warning if SIM credit is running low. Where multiple houses exist behind one set of gates. Or where there are multiple apartments in one block. - Intercom call points with 2,3,4 and up to 5 call buttons are available. - Each call button can be separately programmed for a different residence or house. - So each call button can have a different set of 3 numbers to call. Two Call points on One GSM controller using only one SIM. 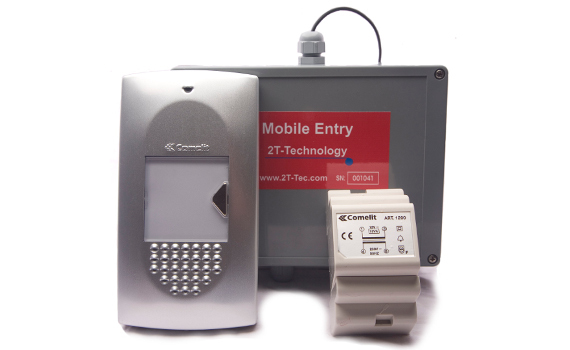 - This is suitable where two gates or access points to the same premises are separated and both have to be set up with call points. 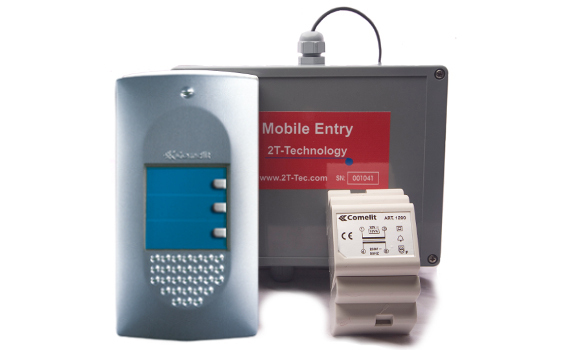 - Using a special 2T Intercom Multiplexer two call points can be connected to one GSM box. - A number of the intercoms have integrated keypads. 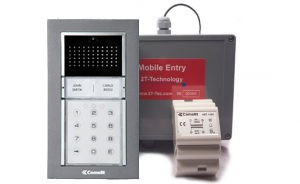 - The Comelit Vandalcom 5 wire intercom is suitable for use with the GSM Intercom system.